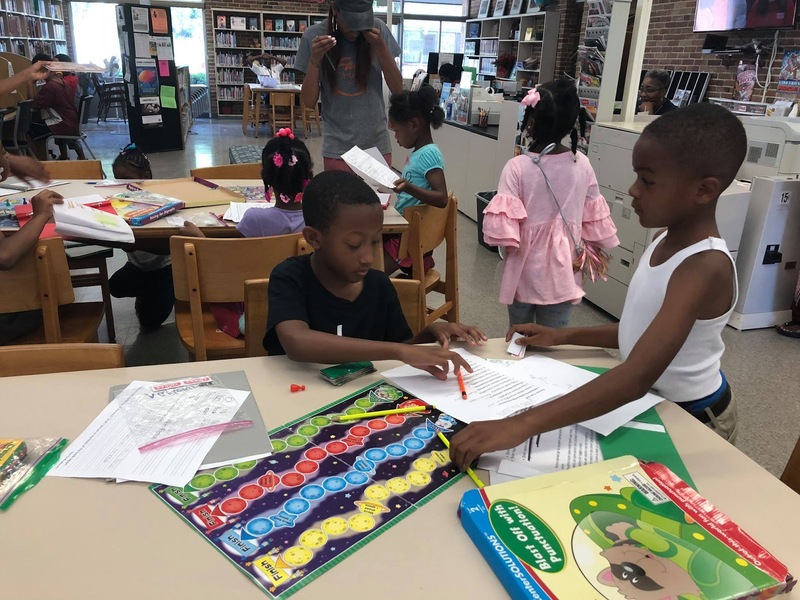 For nearly a decade Faith Chapel Christian Center has been a strong community partner with the nearby Wylam Branch Library. Leadership at Faith Chapel, which began in Wylam in April 1981 in the home of founder Pastor Michael D. Moore, feel it is a part of their “responsibility as a church to be an active partner and supporter of community initiatives at Wylam Library,” said Debra Blaylock, community liaison with Faith Chapel. Since 2009 Faith Chapel has provided monthly financial support to Wylam Library. 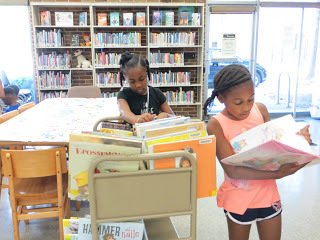 Wylam Library branch manager Selina Johnson said Faith Chapel’s assistance plays a vital role in helping the library provide valuable services for their patrons, from after-school snacks to a summer program that helps kids retain their education by reading during the summer. One program Faith Chapel helped bring to life is Summer Push, a reading initiative held the past two summers that focuses on helping students on break from Wylam K-8 School avoid the so-called “summer slide,” a phenomenon in which students forget much of the knowledge gained during the previous school year. During Summer Push, founded by Wylam K-8 teacher Constance Blaylock, students get free tutoring from her and reading assignments of books in the Wylam Library that help them retain knowledge while on summer break. Constance Blaylock holds the classes weekly at Wylam Library. Debra Blaylock said Faith Chapel is excited at how successful the program has been over the past two summers in helping children avoid the summer learning slide. Selecting more books to read! 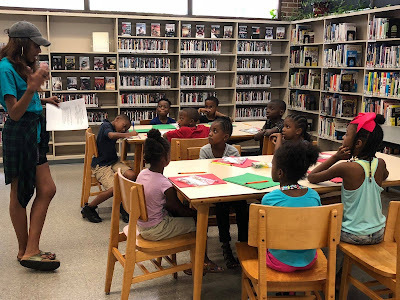 Each Tuesday during the months of June and July, the instructor, Constance Blaylock, required students to check out library books, read at least one book a week, and complete a weekly book report. Summer Push helped students gain and retain reading skills over the summer, Johnson said. Debra Blaylock said everyone can agree that reading is critical to the success of kids in mastering other subjects. “Anything that Faith Chapel can do to assist them in improving their level of reading proficiency is a must,” she said. Faith Chapel also filled a need in 2010 by providing funds to create Wylam Library’s Vittles for Vitality Program, Johnson said. Many students at nearby Wylam K-8 School are provided lunch quite early and come in hungry while visiting the library after school until closing time. 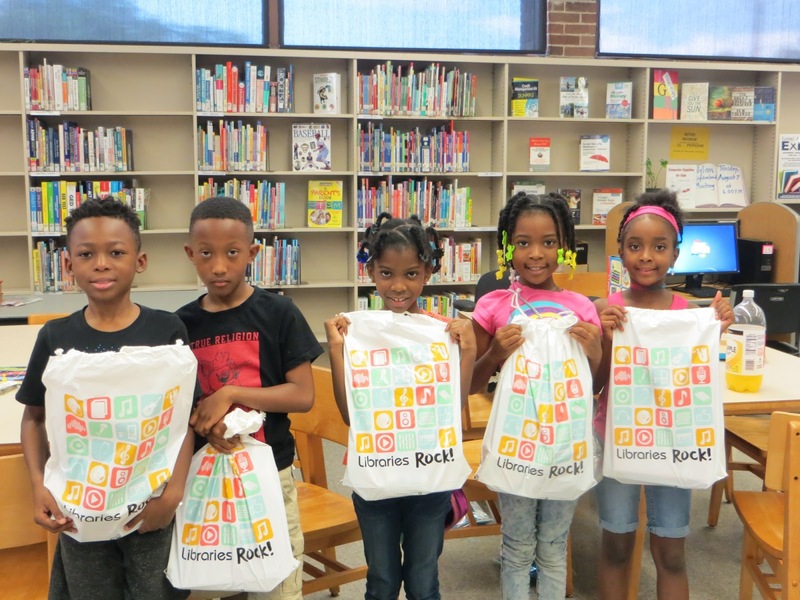 “Faith Chapel provides this program a monthly stipend to purchase snacks for these students during the school year and a pizza party to celebrate reading accomplishments at the culmination of the library summer reading program,” Johnson said.